Baked strawberries and peaches topped with a layer of buttery biscuit then served with vanilla ice cream. 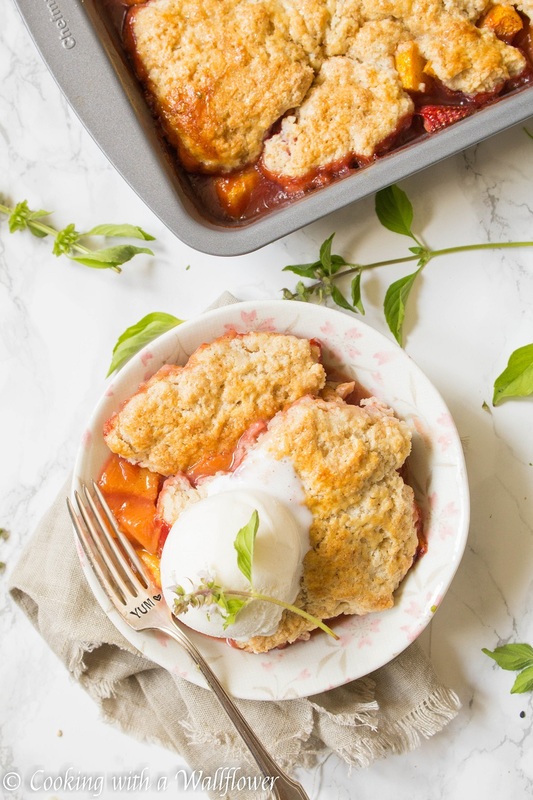 This strawberry peach cobbler à la mode is the perfect dessert for summer. Since it’s the beginning of yet another week, I thought this would be the perfect time to share with you another summer dessert. Because we all need a little pick me up to get through Mondays, don’t we? Summer is starting to wrap up so I really wanted to take advantage of all the strawberries and peaches that are still readily available at the farmer’s market. As much as I love fresh strawberries and fresh peaches, there are days when I get greedy and buy too many. Since I like my fruits firm and not too ripe, I like to use the super ripe ones for fruity desserts. 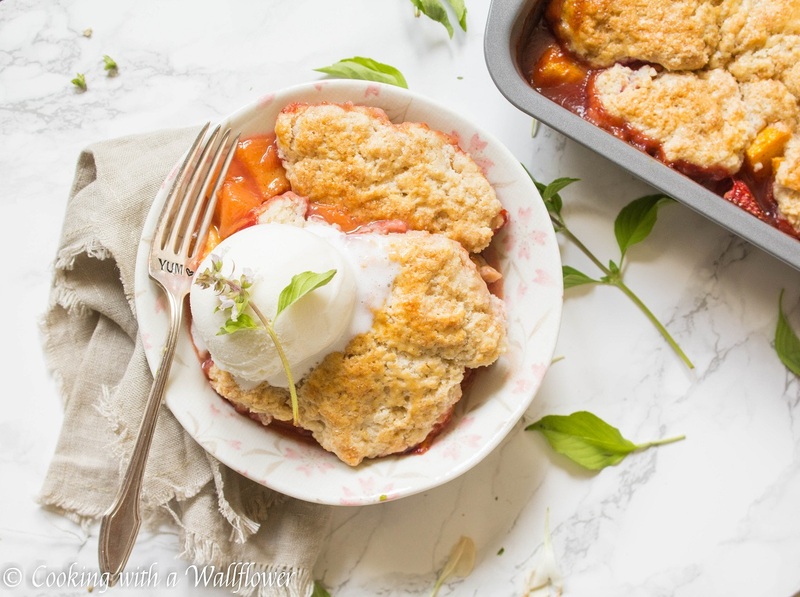 Like this strawberry peach cobbler à la mode. Preheat the oven to 350F. Lightly grease a 13×9 inch baking pan with olive oil. Set aside for now. 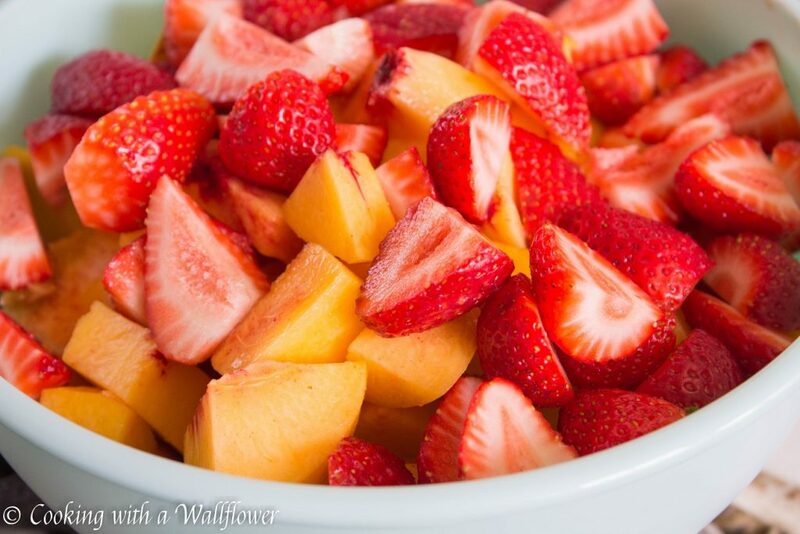 For the filling, chop peaches and strawberries. 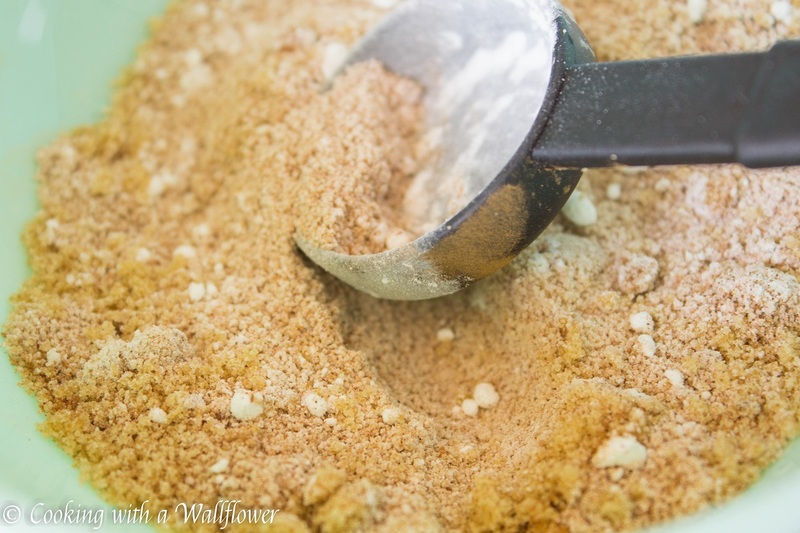 In a small bowl, mix together brown sugar, cornstarch, and ground cinnamon until well combined. 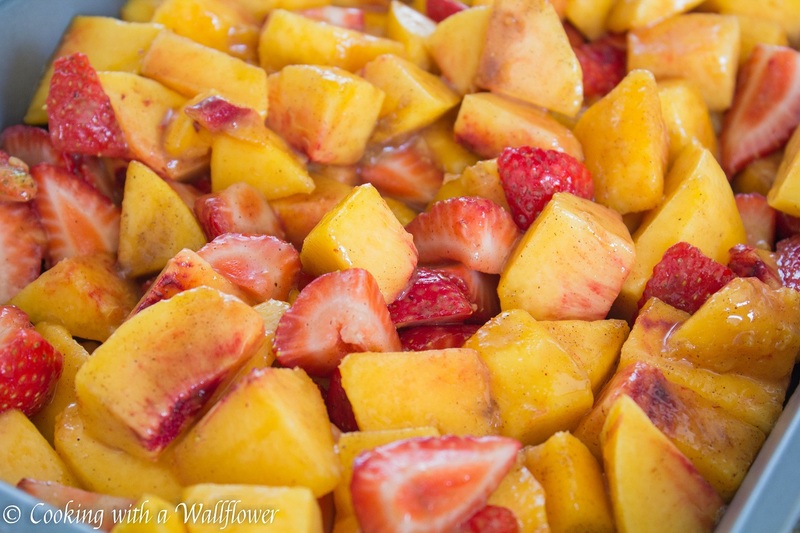 Add this to the peaches and strawberries and mix until the fruits are well coated. Pour the filling into the baking pan and bake the strawberries and peaches for about 15 minutes. This will help soften the fruits. 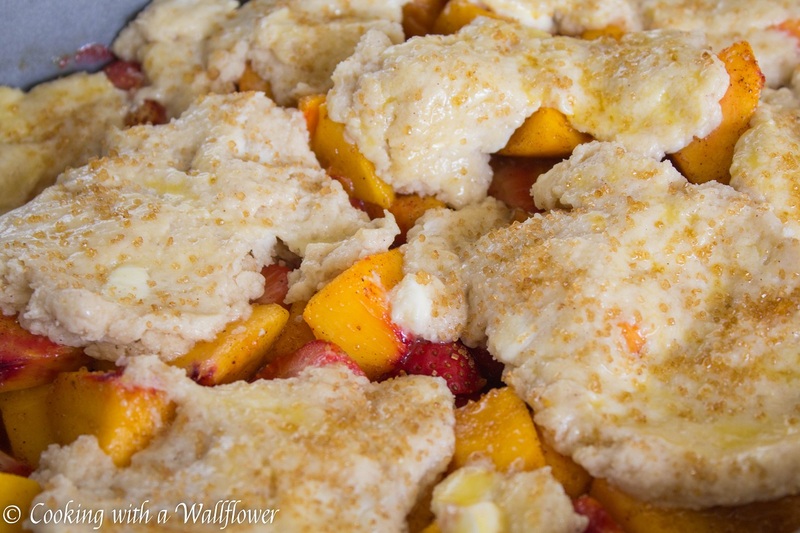 Remove the strawberries and peaches from the oven and set aside for now. 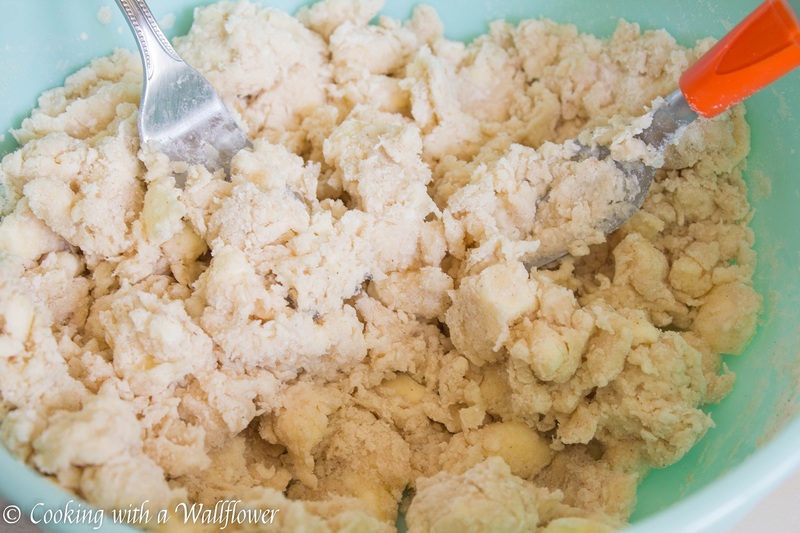 Take the dough and flatten it. Then spread it on top of the strawberry peach filling. The dough doesn’t have to cover all of the filling. 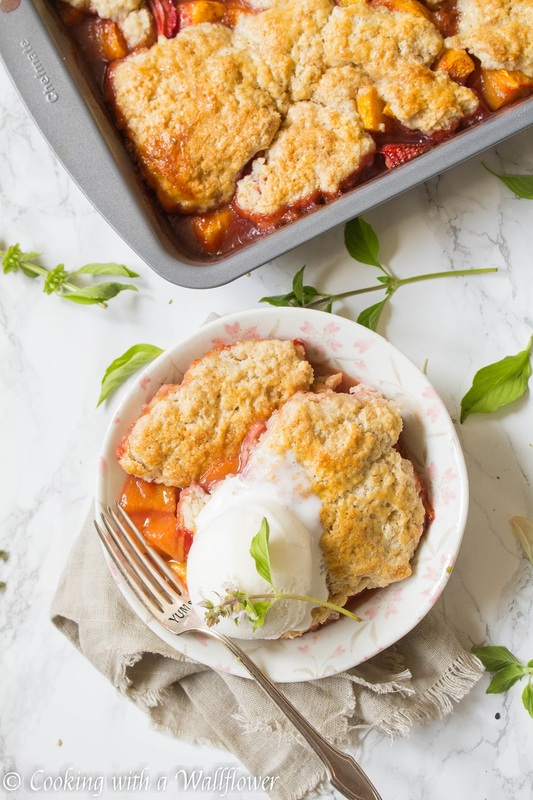 Bake the strawberry peach cobbler for 40-45 minutes until the top is slightly browned and the dough is baked through. Allow the cobbler to cool for a few minutes. 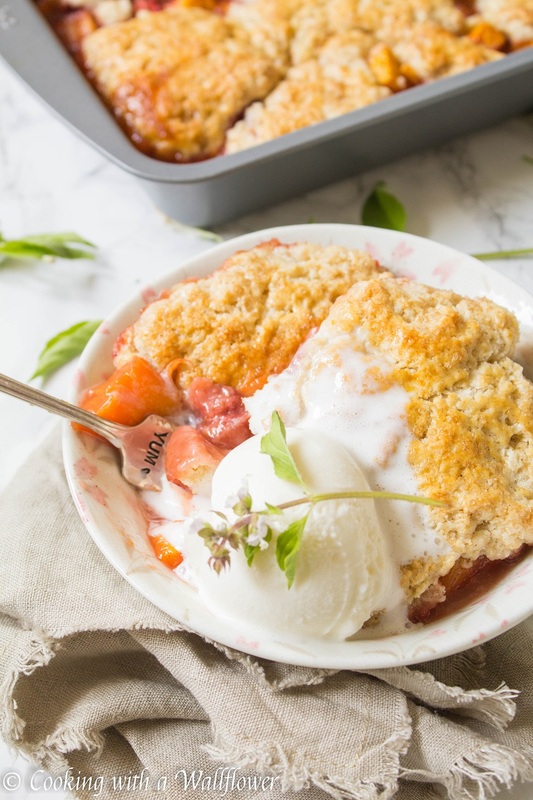 Serve the strawberry peach à la mode — with a scoop of ice cream on top. Preheat the oven to 350F. Lightly grease a 13x9 inch baking pan with olive oil. Set aside for now. For the filling, chop peaches and strawberries. Mix together brown sugar, cornstarch, and ground cinnamon until well combined. Add the mixture to the fruits and mix until combined. Pour the filling into the baking pan and bake the strawberries and peaches for about 15 minutes. This will help soften the fruits. 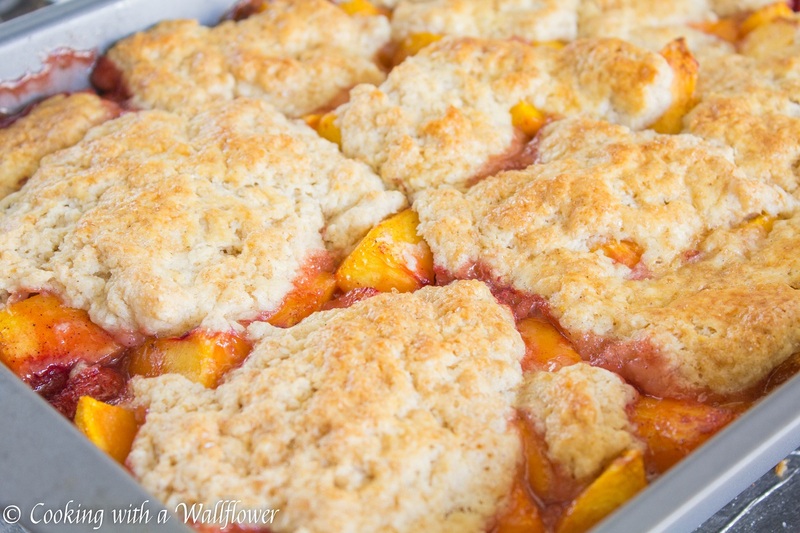 Remove the strawberries and peaches from the oven and set aside for now. 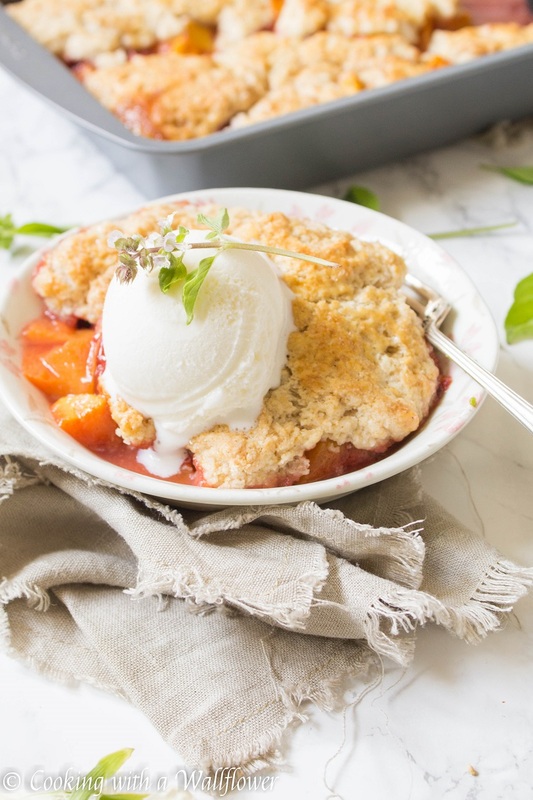 Serve the strawberry peach à la mode -- with a scoop of ice cream on top. 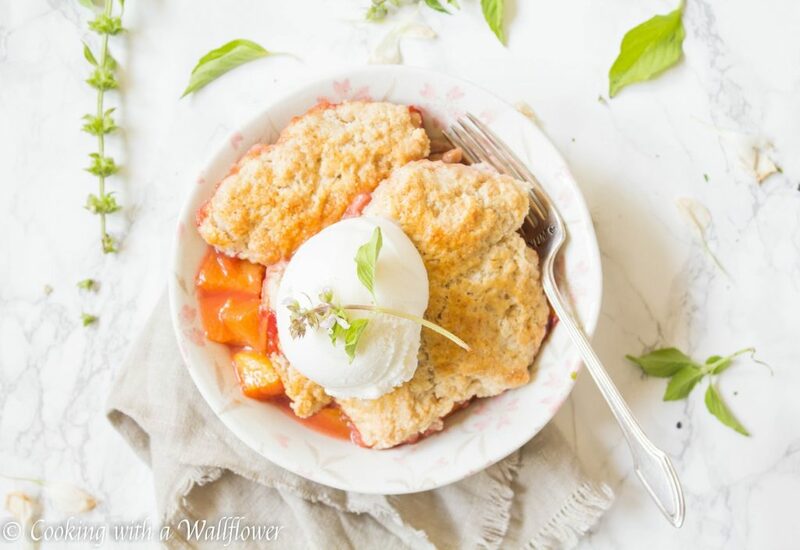 This entry was posted in Desserts, Farmer's Market, Pie, Quick and Easy, Recipes, Strawberries, Summer Cravings, Vegetarian and tagged dessert, farmer's market, peach, quick and easy, strawberry, vegetarian. So lovely and juicy-looking with the peach and strawberries. I hope you’ll get the chance to try this! looks delicious! you always take such great pictures too! Wow young lady ! You’ re great ! 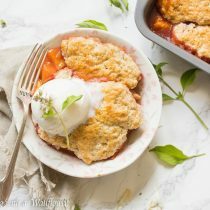 peach cobbler was already one of my favorite desserts but adding strawberry to it makes it sound even better!